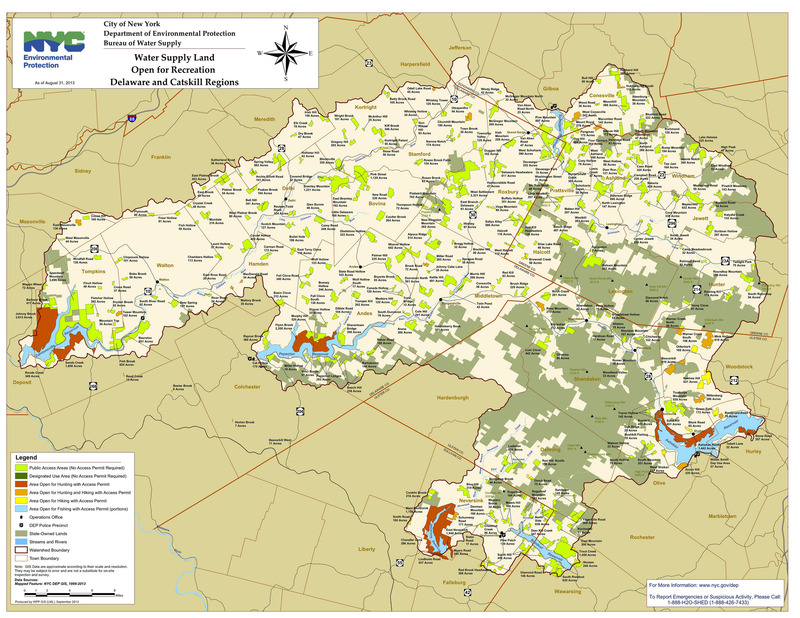 Zelený Les is uniquely situated in the heart of the New York City watershed – lands that provide more than one billion gallons of water each day to more than 9 million residents, including 8.3 million in NYC. In 2013, the City’s Department of Environmental Protection (DEP) opened nearly 6,000 acres of watershed land for recreational use that can be used without a permit for hiking, cycling, boating, fishing, cross-country skiing, snowshoeing, and other forms of low-impact recreation – providing visitors with new ways to enjoy the natural beauty of the region. Approximately 2/3 of the newly-released public land tracts are located within a 5-mile radius of Zelený Les. The map below details our close proximity to nearly 4,000 acres of natural resources. The unprecedented opening of the NYC watershed for public recreation has spurred key partnerships between the City of New York and Catskill towns located within these lands. One example is the opening of the Shavertown Trail in August 2013. By partnering with the Catskill Mountain Club and the Town of Andes, DEP lands adjacent to the Pepacton Reservoir have become the location of an ideal, new hiking trail. The trail was built by volunteers from the community and offers an exceptional recreational opportunity for the public to enjoy. The number of newly-established hiking trails and training of certified guides will continue to increase in the future. 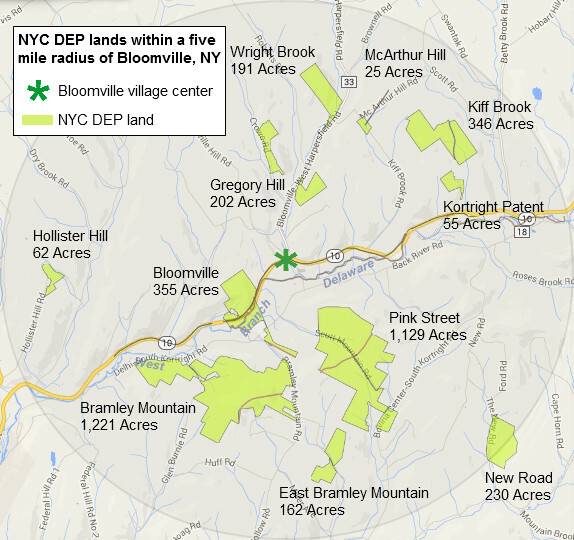 Click here for a comprehensive map of the newly-released NYC watershed lands.